The end of a quiet and restful summer quickly becomes a hustle and bustle at our FISHBIO shop in Oakdale during the fall season. 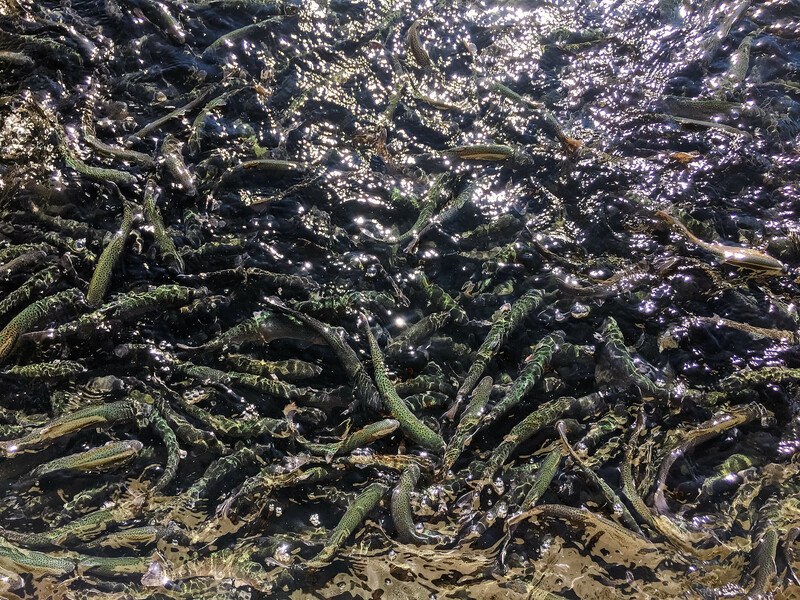 Not only is it the time of year when we harvest our beer hops that were planted the previous spring, but it’s also when Central Valley fall-run Chinook salmon begin to arrive from the Pacific Ocean to lay eggs and spawn in our local rivers. 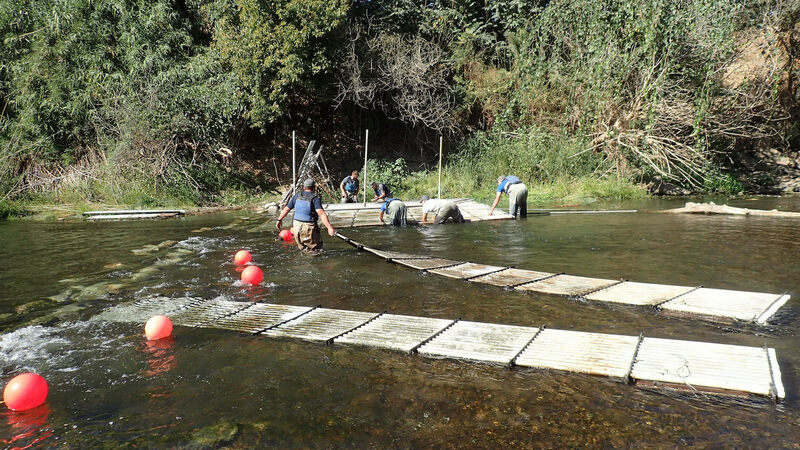 In advance of the annual salmon migrations, we install fish-counting weirs across the rivers. 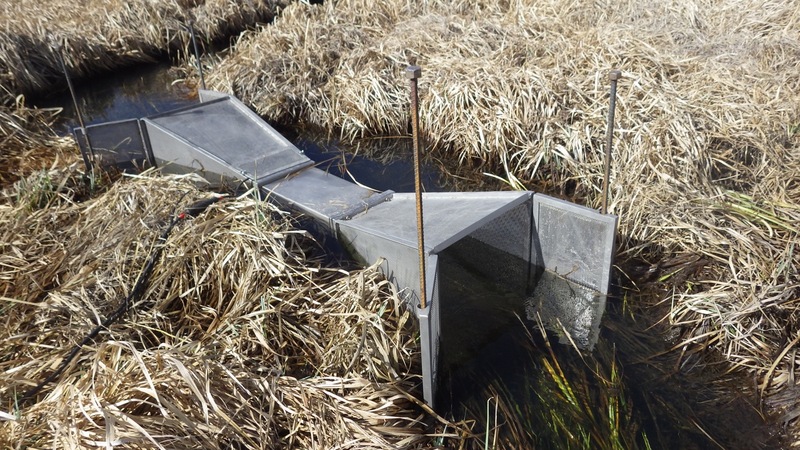 FISHBIO has been using fish-counting weirs to study Central Valley salmon populations every year since 2003. They help us to make estimates of adult salmon escapement (how many return to the rivers), to estimate the number of fish that come from the ocean to spawn, and to track fish tagged with transmitters. The weirs are installed on the Stanislaus and Tuolumne rivers in September and are removed at the end of winter, or as long as flows allow. 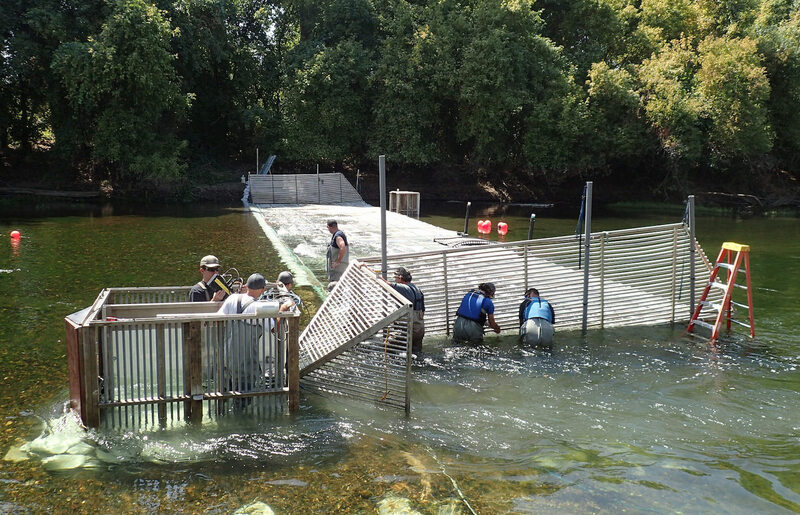 The purpose of a fish-counting weir is to direct fish into a passageway where a motion-activated Vaki Riverwatcher and camera record infrared and video images of each fish as it swims upstream. While our weirs allow us to collect indispensable data to help understand our local salmon populations, they require a large and dedicated effort to make possible. 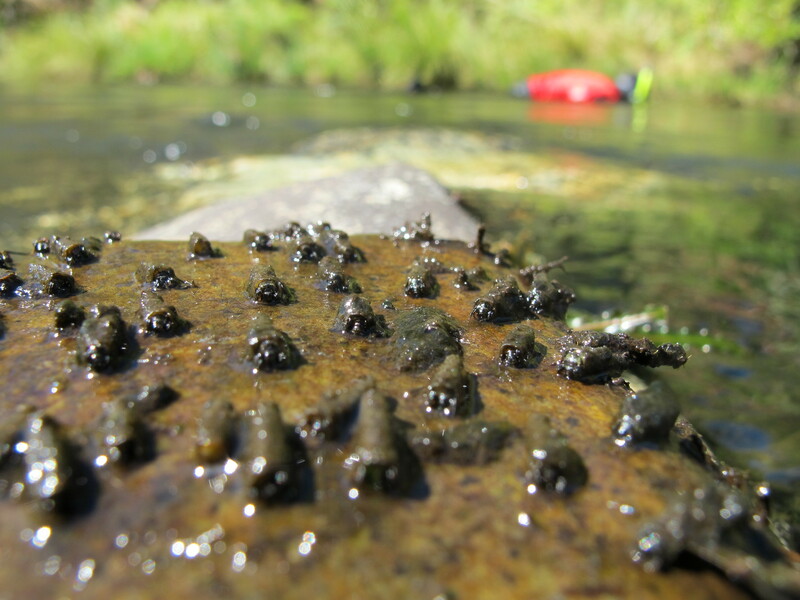 Here’s a look at the work we put into monitoring salmon every year. The whole process begins back at our shop where technicians in our FABLAB plan and engineer the design aspects of the weirs. 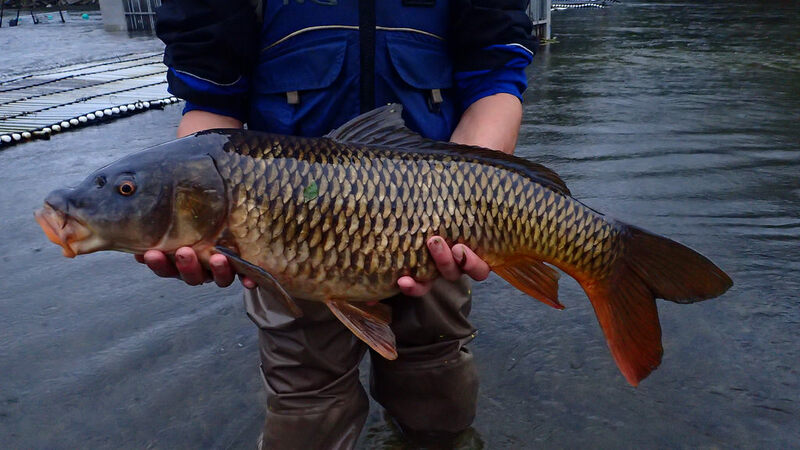 Portable resistance board weirs are constructed of panels made of PVC pipes mounted a few inches apart, so that water and smaller fish can pass through unobstructed, but larger fish cannot. Those fish are redirected through the passageway in the “camera box.” The weir panels, camera box, and computer are assembled in the shop and then trailered out to the weir site. 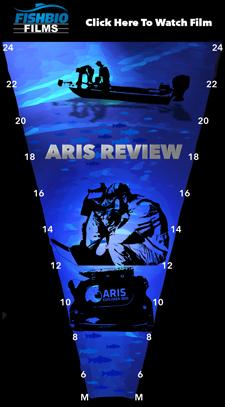 The panels and camera box must be carried by hand into the river and anchored in place. Then the solar panel, computer, Vaki Riverwatcher and camera must be wired together with waterproof connections and the cables buried underground. After several weeks of planning, preparation, and installation, our weirs are finally to start documenting salmon. 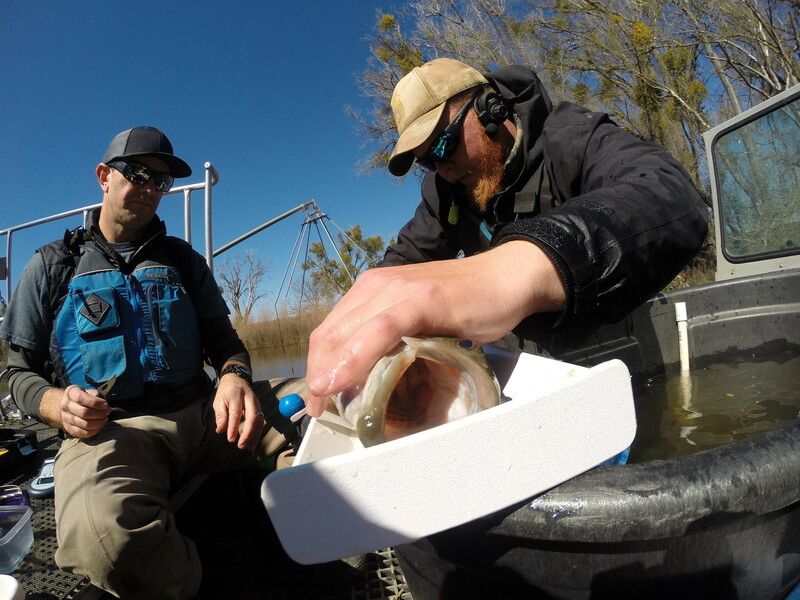 But our work doesn’t end there: each of the thousands of fish passages that we record must be analyzed back at our office and entered daily into databases. 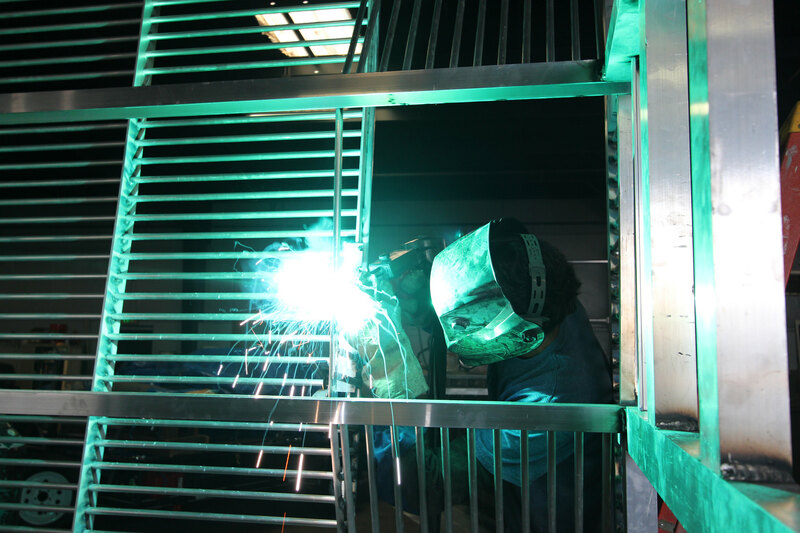 Plus, the weir must be cleaned, repaired, and checked regularly in order to remain safe and operational. It is always a spectacular moment when our weir cameras record the first salmon of the season. 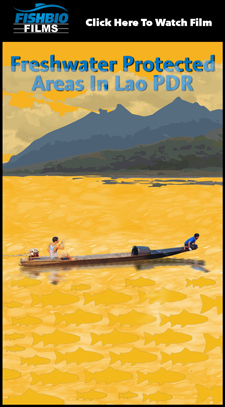 Knowing what a miraculous journey the salmon undertake on their migrations as well as the work we put into capturing that image makes it an accomplishment for both us and the fish. 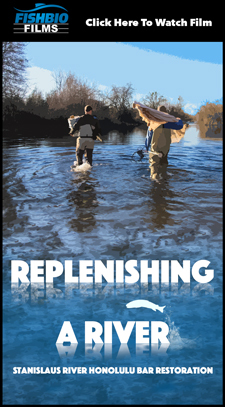 The public can witness the spectacle that is fall-run Chinook salmon migration and spawning from bridges and riverbanks near shallow sections of river in the Central Valley during the next few months, or at the annual Stanislaus River Salmon Festival. The festival is happening November 10, from 10 am – 3 pm at the Knights Ferry Recreation Area. 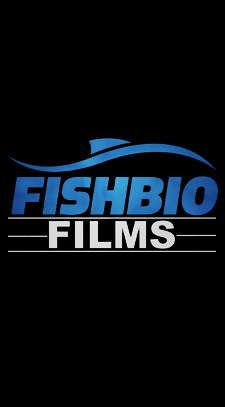 Be sure to stop by the FISHBIO booth where we will have our research boat and underwater camera on display, ready to answer all your questions about our salmon studies.